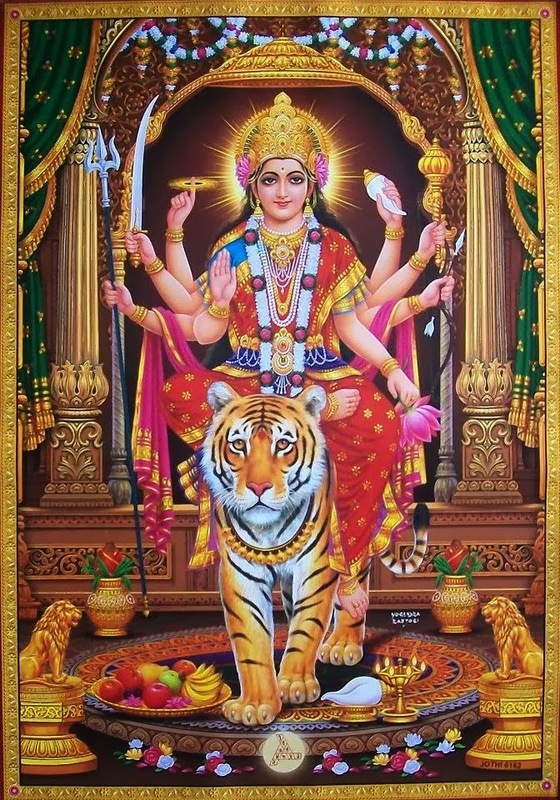 Meaning: Again and again adorations unto that Devi (Goddess) who manifests in all living beings as the Mother. Adorations to Her! 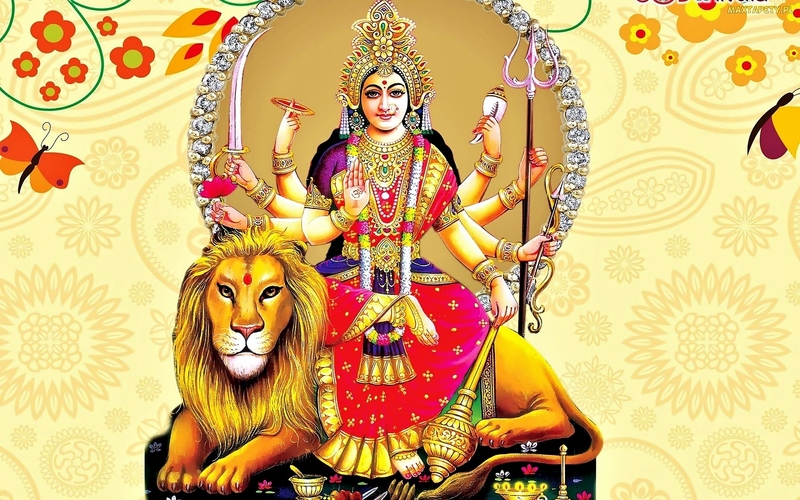 Again and again adorations unto that Devi (Goddess) who manifests in all living beings as Energy. Adorations to Her! 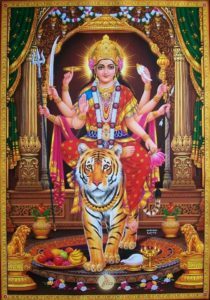 Again and again adorations unto that Devi (Goddess) who manifests in all living beings as Peace. Adorations to Her !